This is very sad that 43 animals have died in Delhi zoo in just one month due to drinking contaminated water, trauma, toxemia ( blood infection ), pulmonary oedema ( fluid collection in lungs ) and myocarditis ( inflammation of the heart muscle ). 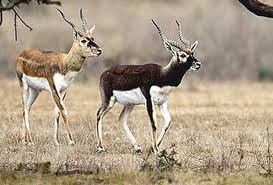 Death of these animals, particularly the black bucks, had occurred due to the intake of contaminated water which caused severe intestinal and lung infection. They say that the reason for the water to get contaminated has been excessive rains and back flow/over flow of sewage water which caused severe water logging, resulting in contamination of the rain water in the animal enclosures in the zoo. While 15 black bucks died due to gastrointestinal infection, a Sambar, Giraffe, leopard and wild boar had lost their lives due to reasons such as asphyxia, trauma and shock. This incident has once again proved man’s callous and insensitive approach towards our animal friends. They should have anticipated the situation and made alternative arrangements to safeguard the lives of these animals, when it had been raining heavily for months. All these precious lives could have been saved with some extra efforts and sincere care, which unfortunately did not happen. Steps should have been taken for improvement of water drainage and revamping of the trunk and sewer line passing through it, but it was not done. Now, they say, they are going to take care of the water drainage system soon. They also say that to stop further deaths of these animals, intensive veterinary care and regular monitoring of animals is being provided. In addition, the government is taking steps to reduce overcrowding of animals in the zoo and provide them nutritious diets. We hope, all these steps are taken and the animals are safe from any further harm. Animal life needs to be improved a lot in the country as deaths of animals keep getting reported on a regular basis. Often leopards and elephants are poisoned or beaten to death by local people. Besides, many animals, primarily elephants, keep getting hit by moving trains while they are trying to cross the railway tracks. These railway tracks also need to be removed from the wildlife area as they pose a serious danger to the life of these innocent animals. Rhinos and tigers getting killed for their body parts have made them almost extinct. A lot of the groundwork needs to be done for stray and abused animals, too. These animals are the worst sufferers of the cruel human behavior. Many of the stray dogs, monkeys and cows can be seen roaming around without a limb or with open wounds due to torture and abuse.